If you like our 5552, you'll love this! 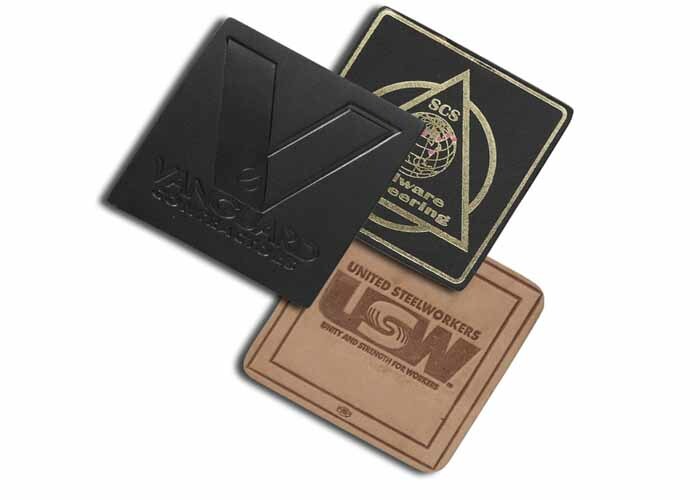 Add variety to repeated programs with a square coaster. Bonded leather has a slip resistant finish on back.